Loftworks Gallery is a an ideal place for both established and upcoming artists to Be Shown. 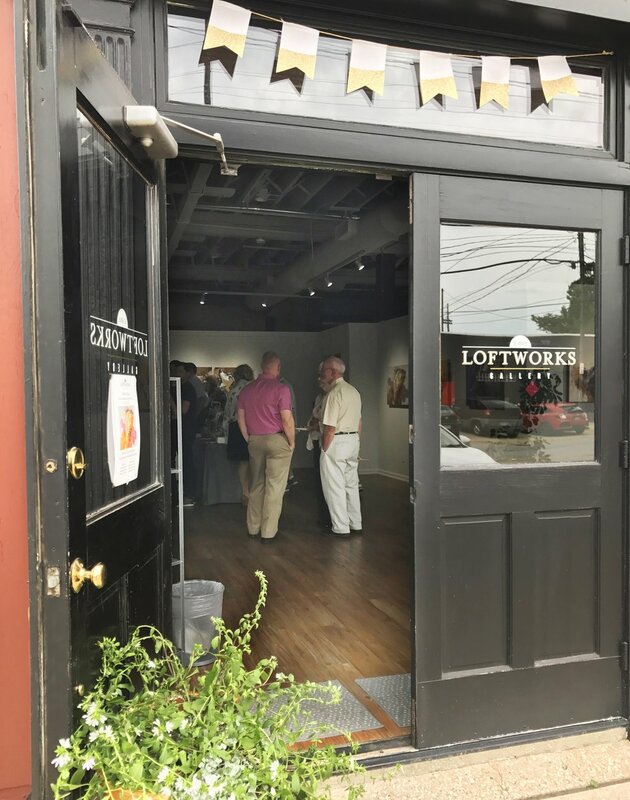 In the St. Clair - Superior neighborhood of Cleveland, Loftworks Gallery is attractive to students, craftspeople, and established professional artists to showcase their work as well as to serve as a venue for short term retail events. We are located in a walkable neighborhood with ample parking, and our large street-front windows provide excellent visibility and natural lighting. Promotion of the artist(s) and their work prior to and during exhibit through Loftworks Gallery’s website, Facebook page, blog, and Instagram accounts. Creation and distribution of press releases to Northern Ohio creative publications. For week-long engagements, print material and gallery window signage will be provided. Water and coffee service available for guests during open hours. Reception friendly space, with full kitchen available. Storefront, street level visibility and convenient parking in the up and coming St. Clair-Superior neighborhood. "I want you all to know how grateful I am for this opportunity you have given...I have grown so much from this experience as an artist"
"From the very start, you were very communicative and swift to respond...I appreciate all of the promotion and marketing and how well you were able to spread the word!" "With 54 photographs in my show, I was very impressed by how the layout and ambiance of the gallery showed off all of my work"